EPOC - Special Event: Dan Fagin, Pulitzer Prize-winning author of "Toms River" to speak at EPOC Annual Dinner Meeting on September 18th - Register today! Special Event: Dan Fagin, Pulitzer Prize-winning author of "Toms River" to speak at EPOC Annual Dinner Meeting on September 18th - Register today! 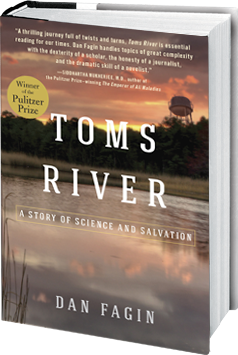 EPOC is pleased to announce that Dan Fagin, Pulitzer Prize-winning journalist for his recent book entitled Toms River: A Story of Science and Salvation will be the keynote speaker at our annual dinner meeting on September 18, 2014. The event will be held at Wesleyan University in Middletown, CT. The event will include a book signing by the author. 5:30 PM Start: Social time and book signing. Dinner appetizers, beer and wine and fall signature drinks provided. Formal program begins at 7:15 PM. Please consider supporting this event by registering today as a sponsor. A quiet seaside town in New Jersey, Toms River became the unlikely setting for a decades-long drama that culminated in 2001 with one of the largest legal settlements in the annals of toxic dumping. A town that would rather have been known for its Little League World Series champions ended up making history for an entirely different reason: a notorious cluster of childhood cancers scientifically linked to local air and water pollution. For years, large chemical companies had been using Toms River as their private dumping ground, burying tens of thousands of leaky drums in open pits and discharging billions of gallons of acid-laced wastewater into the town’s namesake river. A science journalism professor at New York University, Dan Fagin is a Pulitzer Prize-winning journalist who writes frequently about environmental science. 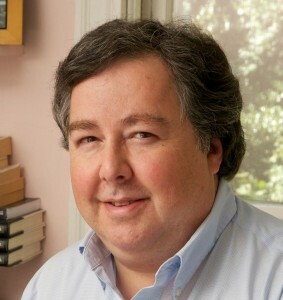 His book, Toms River: A Story of Science and Salvation, was recently awarded the 2014 Pulitzer for General Nonfiction, as well as the New York Public Library’s Helen Bernstein Book Award for Excellence in Journalism. Before joining the NYU faculty in 2005, he was the environmental writer at Newsday for 15 years, during which time he was twice a principal member of reporting teams that were Pulitzer finalists. He has also won both of the best-known science journalism prizes in the United States: the Science Journalism Award of the American Association for the Advancement of Science, and the Science in Society Award of the National Association of Science Writers. His recent publications include The New York Times, Scientific American, Nature and Slate, and he is a former president of the 1,400-member Society of Environmental Journalists.